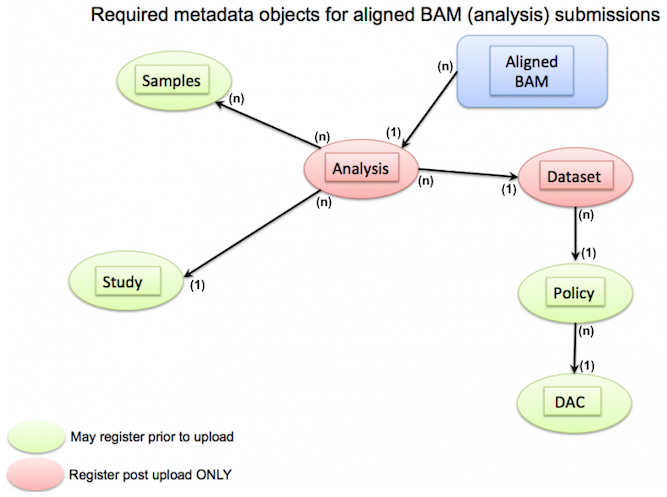 As part of the EGA submission process, EGA requires metadata in order to associate samples with the raw files you uploaded. This metadata is crucial for users to map your DCC-submitted samples to raw data files at EGA. 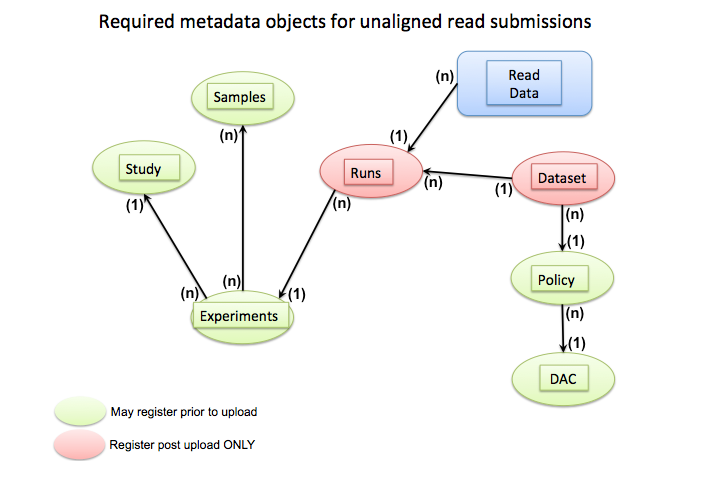 The following instructions are meant to provide ICGC members with guidance on submitting metadata to the European Genome-Phenome Archive (EGA). ICGC members are encouraged to consult the EGA submission guidelines prior to data submission. Below are example template files for POLICY, STUDY, DATASET, SAMPLE, EXPERIMENT, and RUN metadata. Submissions from ICGC members do not need to include a dac.xml, as the ICGC DAC (Data Access Committee) already exists in the EGA system. The submitters only need to refer to the ICGC DAC in the policy.xml, as shown in the following policy.xml example. Please note in the above example that submitting centers must populate their own center name in the center_name attribute of the POLICY element. Please use your center name as specified in List of Institutions at http://docs.icgc.org/submission/institutions/. If your center’s name is incorrect or missing from here, please contact the DCC at dcc-support@icgc.org to have your center’s record added or revised. The value of center_name should reflect the submitter’s affiliation and should remain consistent in the metadata XML for all subsequent submissions to EGA. The following examples of DATASET and STUDY xml files are written as per EGA's specifications with key items required for all ICGC submissions populated with examples. For SAMPLE, EXPERIMENT and RUN metadata, only fragments of the XML files are provided to illustrate how certain IDs are referenced across files.